Is getting down and dirty your idea of a good time? Then this one of a kind off-road running event is for you. The challenges welcome male and female competitors as long as they're older than 13. 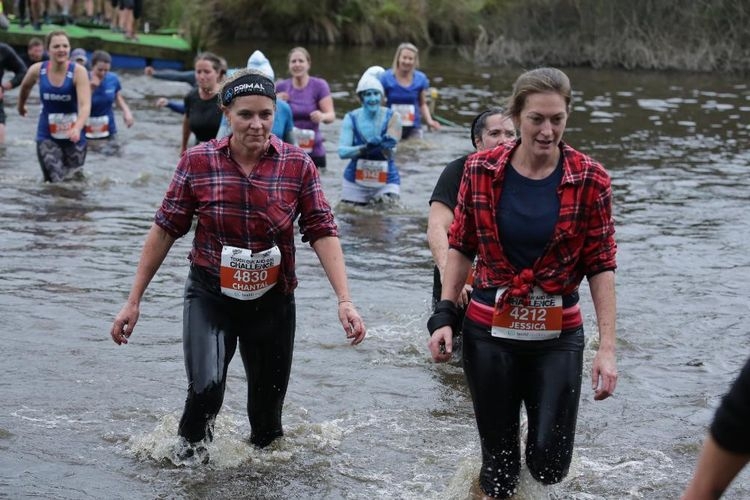 Stimulate yourself on a course featuring swamp crossings, a spiders web net climb, crawl under barb wire, beautiful native bush trails, tunnels, hurdles, a climbing frame and more, not forgetting mud mud and more mud! Our events have fantastic spot prizes, merit prizes, amazing goodie bags, souvenir coffee mugs, challenging obstacles, a fun atmosphere, hot showers and plenty of free parking. Bring your friends, workmates or family together for a truly amazing experience! The challenges kick off at Lakes Ranch, an outdoor pursuit/equestrian centre 15 minutes east of Rotorua on SH30. Just follow the signs to Hells Gate and Lakes Ranch is located directly opposite. This venue provides a fantastic course with spectacular scenery for the ultimate experience.